Inshore fishing extends about 5 miles into the Gulf of Mexico. Trolling & bottom fishing are common in this area. Species frequently caught include Amberjack, Bonito, Blackfin Tuna, Cobia, Dolphin, Flounder, Grouper, King Mackerel, Red Snapper, Sailfish & Triggerfish. Offering all day or overnight deep sea fishing charters. The “Outta Line” is fast, clean, comfortable, air-conditioned and has interior bunks, dining area, and a restroom. We supply the crew, bait, ice, tackle and fishing licenses. Charter Boat Phoenix caters to all levels and types of fishing! Captain Scott Robson has thirty years experience in Destin and is ready to help with your fishing adventure. USCG approved for 20 passengers, A/C, Microwave, refrigerator, TV, DVD, bathroom, 8 sleeping bunks. Big live well for fishing (with live bait). 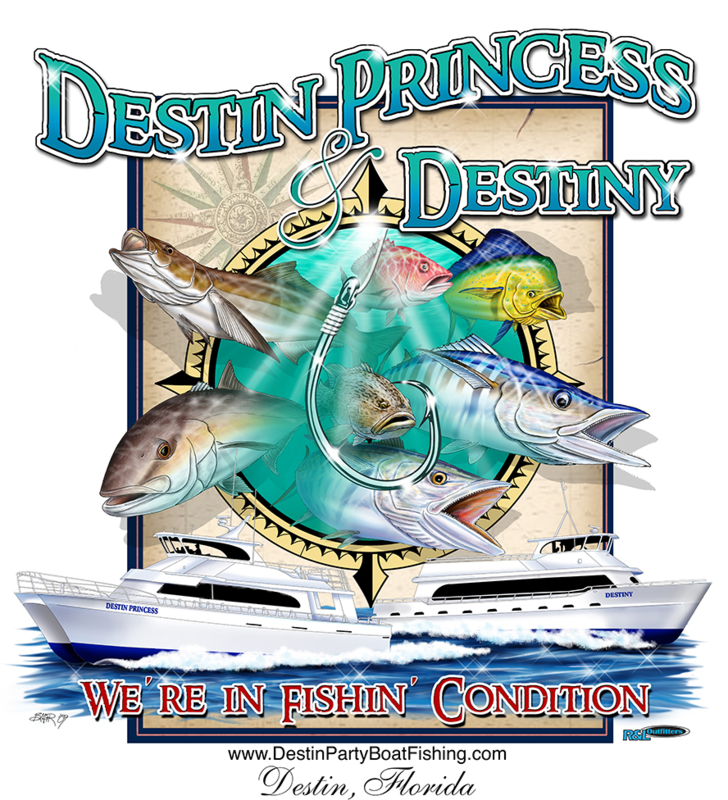 Call 850.837.9734 to plan your fishing trip abroad the Phoenix today! We specialize in Deep Sea Fishing with a 28' Contender center console powered by twin 150 HP Yamaha outboards. We get you to the fish quickly so you have more time to bottom fish for Grouper, troll for Wahoo, live bait fish for Amberjack, deep drop for tilefish or jig for Yellowfin Tuna. State of the art electronics : GPS, Fish Finder, Radar, Auto Pilot & Ship to Shore Radio. Fast cruise 25 to 30 mph. 6 to 14 hour charters for up to 4 people. No Alibi Charters is a Deep Sea Charter Fishing Company located in Destin, Florida. We specialize in making memories for a lifetime. From 4 hour shark trips to 3 day Tuna trips we accommodate every style of fishing and a great time to boot! The No Alibi is a 42' fiberglass boat and the crew prides themselves on keeping it in top condition. Air-conditioned, and comfortable with many amenities of home. The Pescador III is a custom-built, 51 foot sportfisher that's maintained in top condition. With a maximum capacity of 16 passengers she's a great choice for family and business fishing trips. 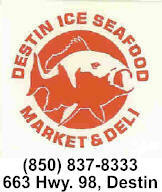 Captain Mike Whitley is a long time Destin resident that has operated the Pescador III for over 8 years. Bait, tackle, fishing license, fish ice and fish cleaning are provided free. Families & children welcome. Miss Aegina has been offering great fishing experiences to anglers of all skill levels since 1969. Welcome aboard our very comfortable 48" custom Thompson. Built in Ocean City, FL for the conditions in the Gulf of Mexico. Offering 4 hour -6 hour-12 hour trips. We can accommodate up to 15 anglers. Children under 12 are free. Luxury charter fishing aboard the "Finest Kind" a 53 foot custom G & S sportfisherman. We can accommodate up to 22 passengers, amenities include: DirecTV with 39" Flat Screen TV, A/C, Full Size Frig, Microwave & Bathroom with Walk-In-Shower.